It used to be accepted that any advertising is good advertising. The idea was that anything that got your name and/or brand out there, was good whether a complaint from a neighbor or a raving review from a client. However, that was before the advent of technology put customer reviews at the fingertips of the millions of people with a smartphone. Sites like Yelp provide affordable – even free – advertising opportunities for businesses. Today’s customer journey is certainly that: a buyer’s journey which means your potential clients are not just looking at flyers or newspaper ads. They’re checking reviews. Why Market Your Business On Yelp? Sites like Yelp provide customer reviews which are among the most important influencers among online shoppers. In fact, 68 percent of online consumers related that “trustworthy reviews [were] their strongest influencing factor” when making a purchase decision. And since having an online presence has become a must for companies new and established, large and small, the entire landscape of marketing has changed exponentially. However, advertising on sites like Yelp is not something that should intimidate you. Their platform is very user-friendly which makes advertising with them something even a novice can do. How Does Yelp Work For Business Owners? And you can see the value in tapping into this advertising strategy. Further, a 2013 survey by The Boston Consulting Group indicated that “small businesses with a free business owner’s account saw an average of $8,000 in annual revenue from Yelp.” (The survey also resulted in findings that Yelp paid advertisers got nearly triple as much, with average annual revenues from Yelp of more than $23,000). 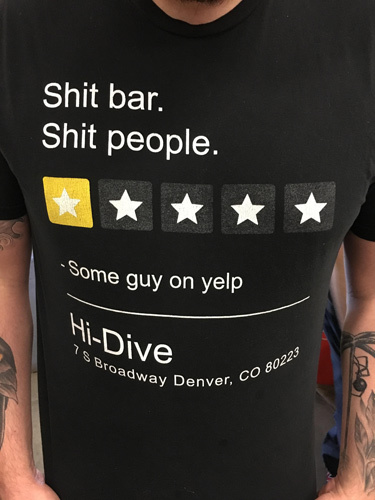 Get a freakin Yelp profile! How To Add and Claim A Business on Yelp? Once you’ve completed the information, you are then asked to input your email and that you are indeed the owner of the business. Once you’re done, you’ll have access to their advertising tools and dashboard. What Are The Benefits to Claiming Your Yelp Profile? Get feedback from customers. This helps you stay on top of customer service by getting real-time, real-life reviews on the things that work and the things that don’t. Get exposed to potential customers. Your target market will be exposed to your products and services in a more specific way than in regular online searches. Respond to reviews, both privately and publicly. You’re able to thank those who give you good reviews as well as respond to (and if needed, make amends for) poor ones. This gives you further exposure to potential customers because customer engagement is among the most important things consumers look for. It’s quick and free. 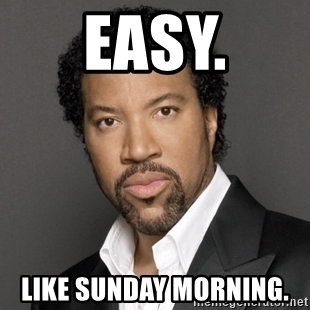 Generally speaking, it takes just a couple of days for your listing to be approved and it costs nothing to do it. Access Analytics. 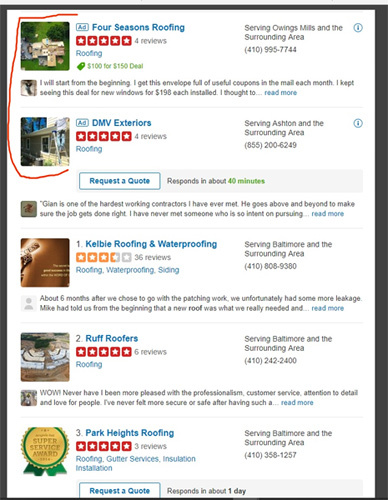 Yelp provides some basic information on the activity of your Yelp listing. You’re able to gather information such as demographics and geographics of those who view your listing as well as the actions they took on your listing. What Are Yelp Ads and How Do They Work? Claiming your business listing on Yelp is – as mentioned – a simple process but there is more that can be done with Yelp. Yelp has updated their previous paid advertising contracts. In the past, businesses were forced to sign up for long-term contracts which range from 3 to 12-month obligations. Knowing that most consumers love long-term contracts like they enjoy paying for their expensive cable bills, Yelp finally decided to be a wee bit more flexible with recent changes in their advertising programs. Because of this, they now offer “flexible rates with no long-term commitment” which makes it much more feasible for small-budget operations. Yelp ads work by targeting your potential customers. People who use Yelp are there because they are searching for a specific product or service in a particular area. By utilizing pay-per-click (PPC) advertising, you’re better able to measure the effectiveness of your marketing campaign versus your marketing budget. If you want a more comprehensive guide on Yelp advertising, I wrote an article, “Yelp Advertising Review: Is It Worth Advertising on Yelp?” I think you’ll find it eye-opening. Yelp provides its users with not only reviews but with company information (that you provide) as well as a location and contact information. Paid ads appear based on the category search and the geographic location of the user. These ads appear above the search results listing, the competitor’s age, and on mobile phones as well. Yelp is a useful tool in your marketing toolbox and starting for free is a simple process that can lead you to learning more about how to utilize their services for your business. Since every business-owner is unique, you may find that such a service is not right for you. Conversely, maybe it is precisely the type of advertising you’re looking for. If you’re new to PPC or online advertising or would like to learn more about Yelp and other advertising opportunities, it can be helpful to have an expert guide you through understanding. If you’re interested in learning more about your online advertising campaign, contact me today and let’s talk about getting you leads.